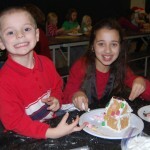 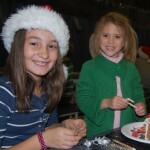 Building a gingerbread house is more fun when you do it with a buddy. 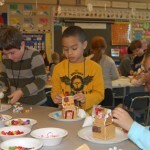 Mrs. Detter’s first grade students at Eshleman Elementary worked with Mrs. Letavic’s high school ELL (English Language Learner) students to create gingerbread houses. 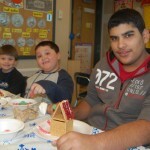 For some of the ELL students, this was their first experience making a gingerbread house. 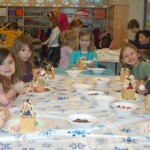 The first grade students were eager to show them the ropes. 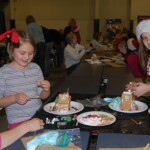 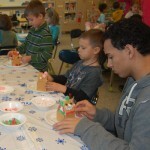 Mr. Berry’s morning kindergarten class at Letort partnered with Mrs. Moyer’s fifth grade students to make Christmas cottages. 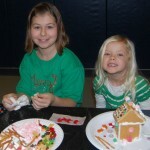 With lots of icing “glue” and an overabundance of candy to decorate the creations, everyone had a great time! 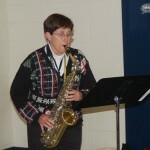 Music teacher, Mrs. Husler, came by to play some holiday music for the students while they worked.